In Estácio, in Central Rio, at the intersection where the shots that put an end to Marielle’s life were fired, mothers whose children were victims of state violence read poems in memory of their children and Marielle. 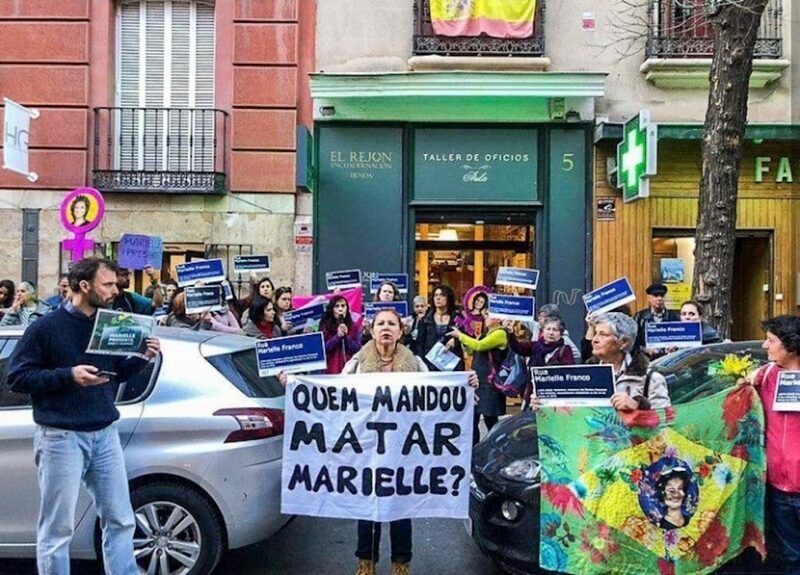 “Marielle was also our mother in a way,” one of the mothers said. 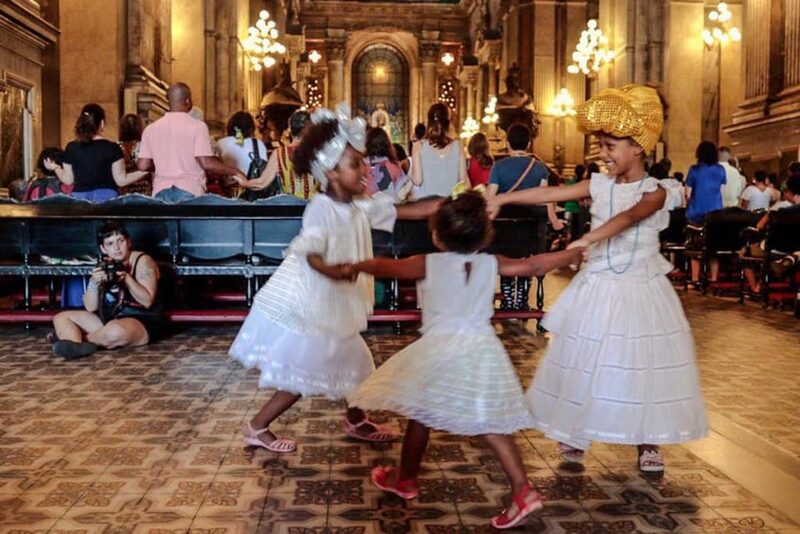 From there, the lawmakers walked to Candelária—one of the most important churches in the city, the site of the Candelária rally during the Diretas Já! 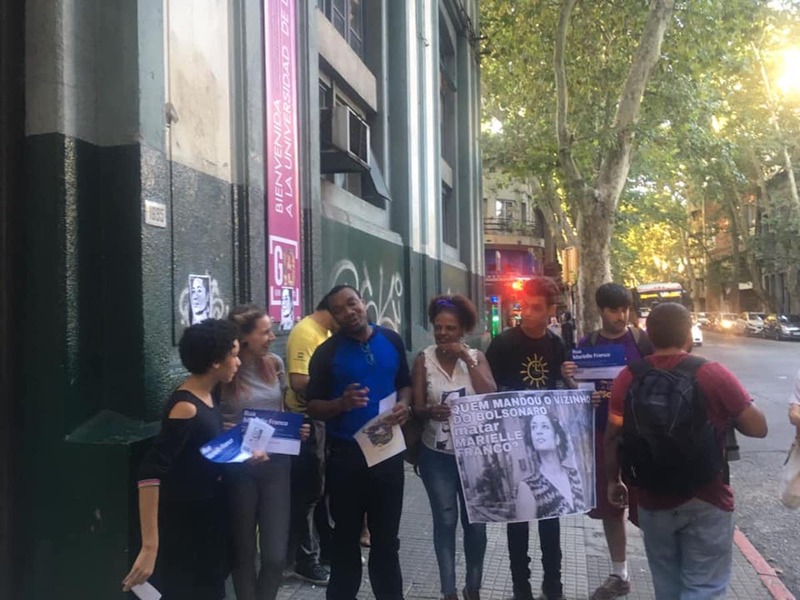 (“Direct Elections Now!”) movement that brought an end to the dictatorship in the 1980s, but also the scene of the Candelária Massacre in which police killed eight homeless, mainly youth, in 1993. At the end of the Catholic celebration, Afro-Brazilian religious practitioners drummed and paid their own tribute to Marielle at the entrance of the church. 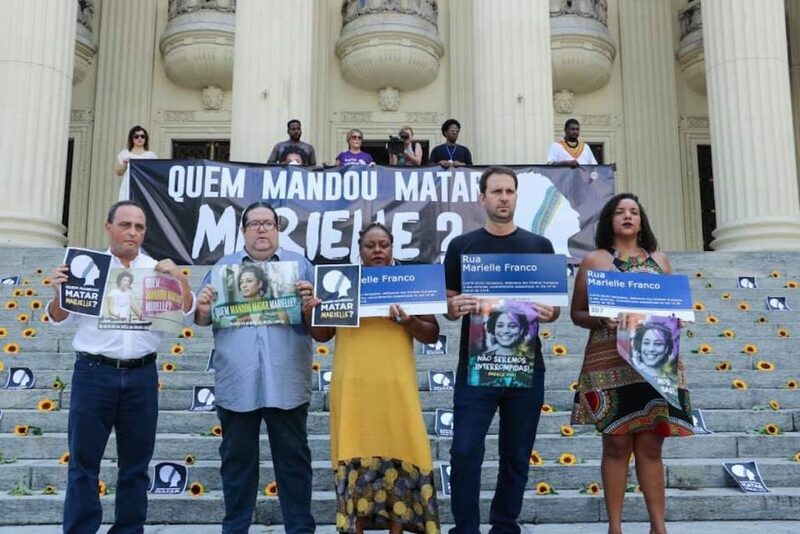 On the same day, the Human Rights Commission of the Rio de Janeiro State Legislative Assembly (ALERJ)—presided by recently elected state representative Renata Souza, formerly aid to Marielle—held its first meeting of the year. 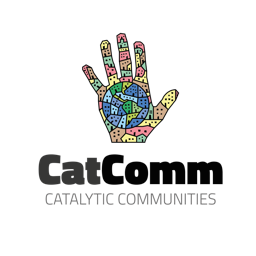 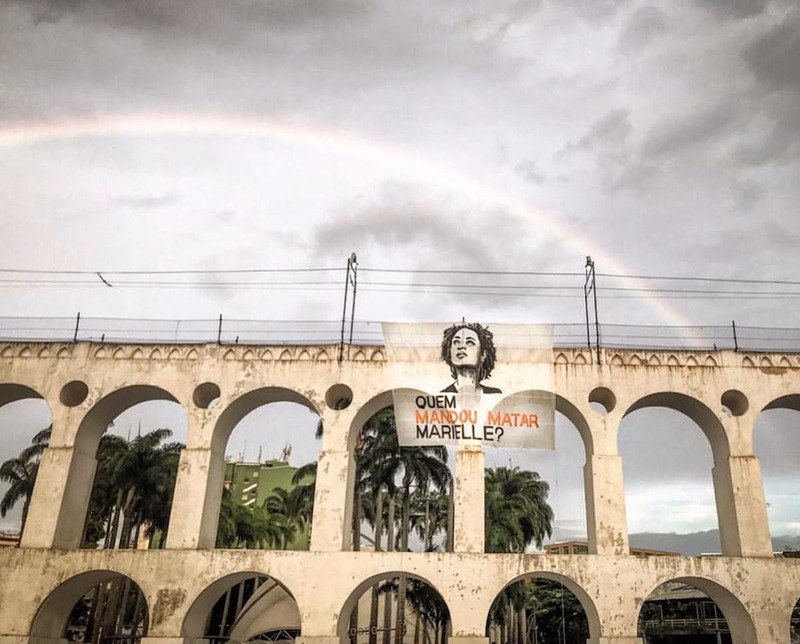 Planned actions include two public hearings, one to discuss police operations in favelas and another to discuss the massacres in the Baixada Fluminense. 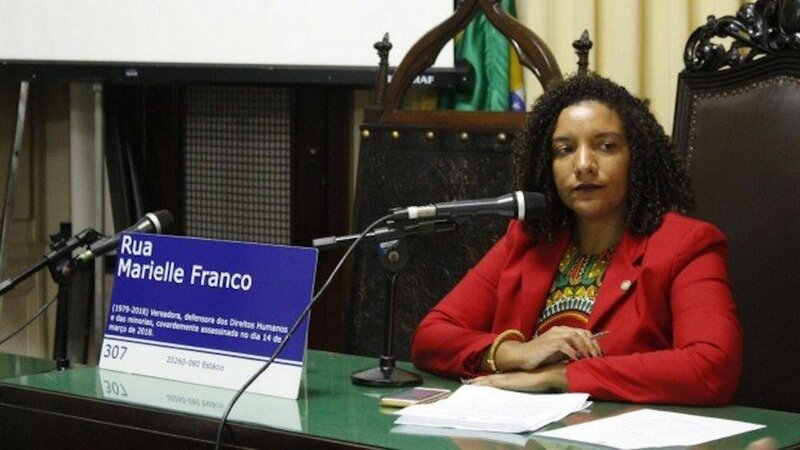 Also in ALERJ, the proposal to grant Marielle Franco the Dandara Prize was approved. 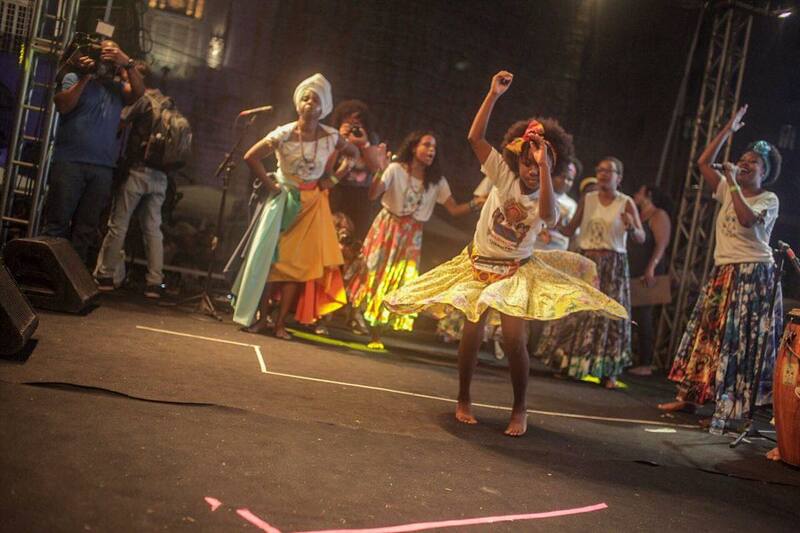 In the afternoon, a public lecture titled “I Am Because We Are” took place in Cinelândia Square. 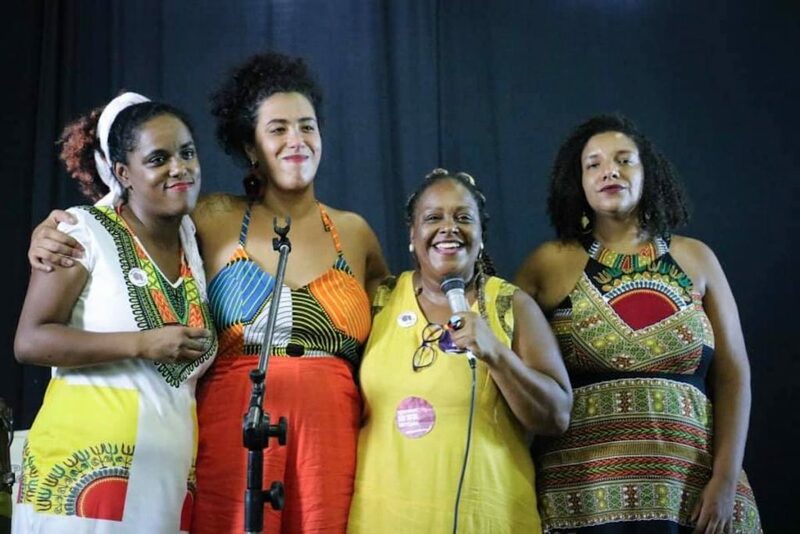 The teach-in was led by Thula Pires—an Afro-Brazilian religious practitioner, constitutional law professor, and coordinator of the Interdisciplinary Nucleus for Afro-Brazilian Thought and Memory at the Pontifical Catholic University in Rio de Janeiro (PUC-Rio). 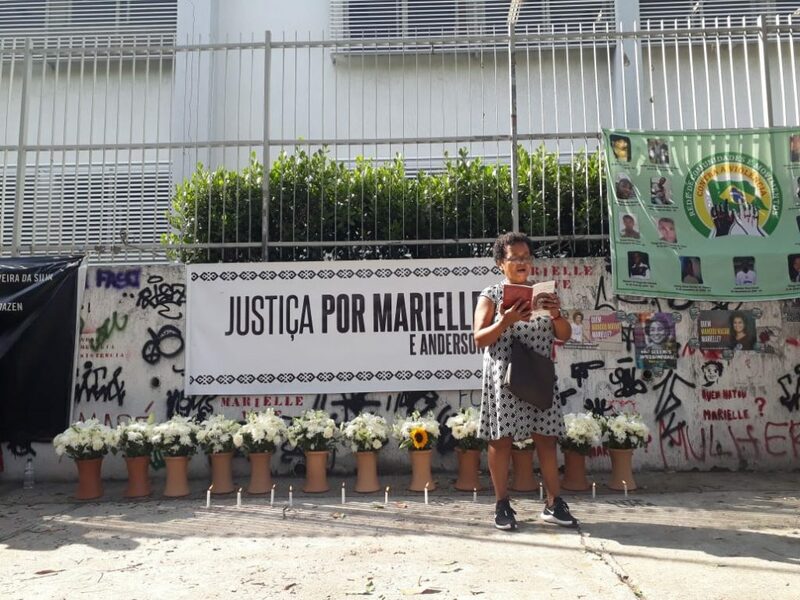 The event was especially significant in light of Marielle’s commitment to public education and the value that she placed on involving black knowledge, important references, and individuals in the process of constructing knowledge. At the same time, the event “Carolina, Abdias, and Marielle: Lives, Ancestrality, and Continuity” was held at the Maré Arts Center in Marielle’s native favela of Maré, to commemorate the birthdays of Carolina Maria de Jesus and Abdias do Nascimento and the death of Marielle Franco—three important black intellectuals. The night concluded in Rio de Janeiro with a political and cultural demonstration in Cinelândia Square, including a series of cultural manifestations in honor of Marielle—from jongo cirles to urban dance performances and poetry battles. 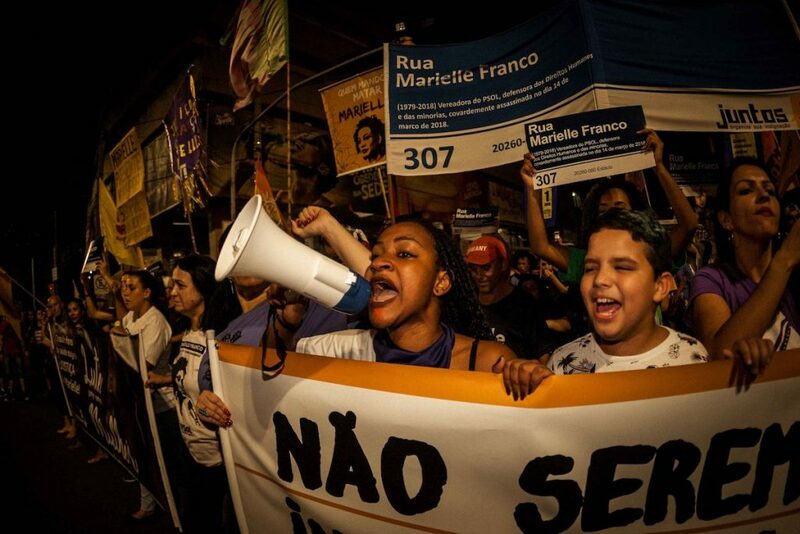 Demonstrations also took place in other cities in Brazil. 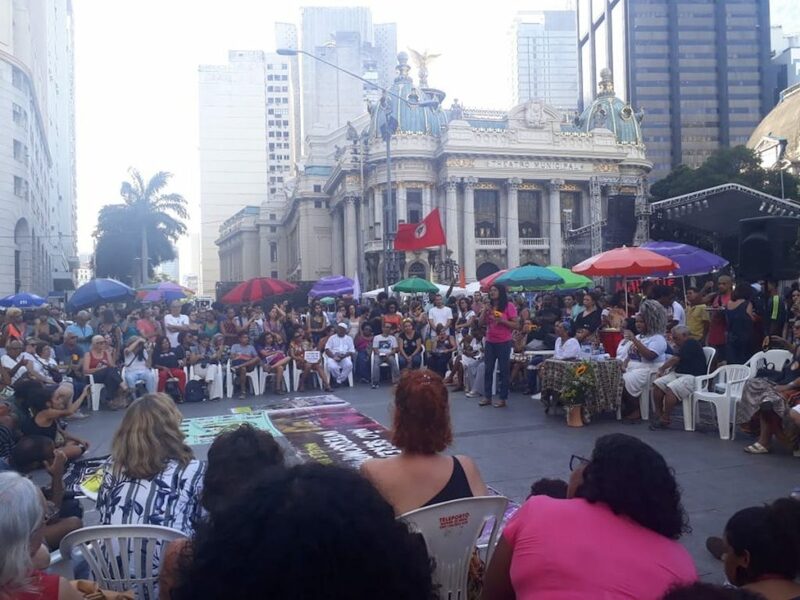 In São Paulo, the demonstration began on Avenida Paulista with public lectures on Marielle’s legacy led by Jupiara Castro from the Black Consciousness Nucleus at the University of São Paulo and on race and gender led by state representative Érica Malunguinho (PSOL) to the backdrop of “Black Lives Matter” chants. 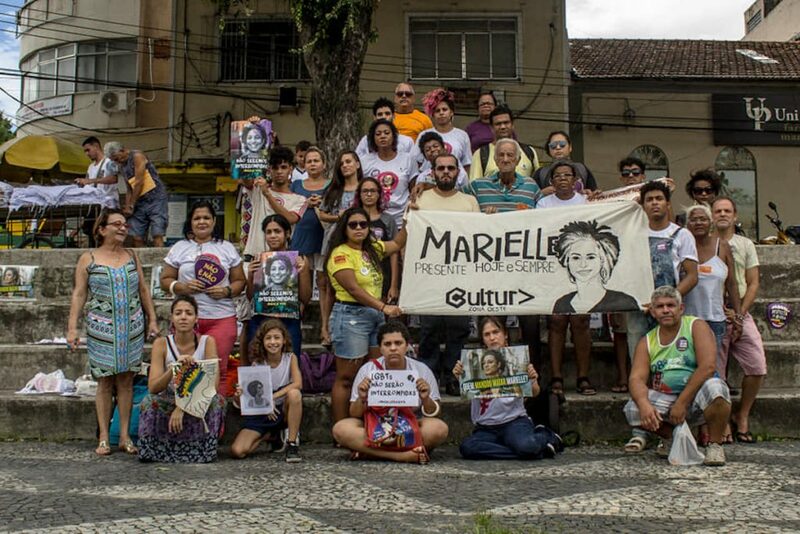 An interfaith demonstration in honor of Marielle and her driver Anderson Gomes was also held. 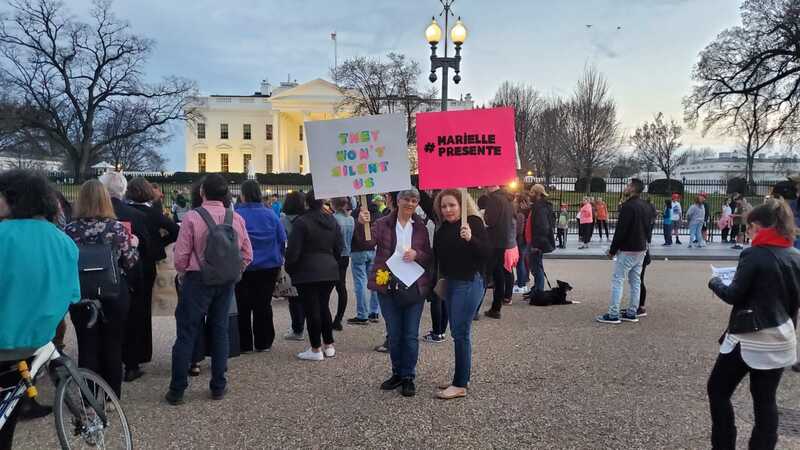 The demonstration continued along the street in the rain. 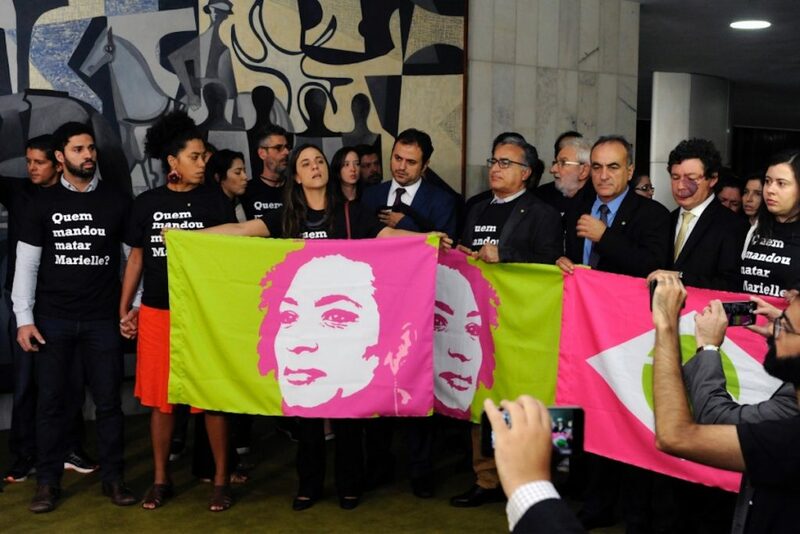 In Brasília, Brazil’s capital, members of Congress leading a demonstration to demand answers surrounding who ordered the assassination were surprised by a demonstration against the mistreatment of animals, including audio recordings of barking dogs, organized by members of the current president’s far-right Social Liberty Party (PSL). The act was interpreted by many as an attempt at distraction or even intended to insult the memory of Marielle. 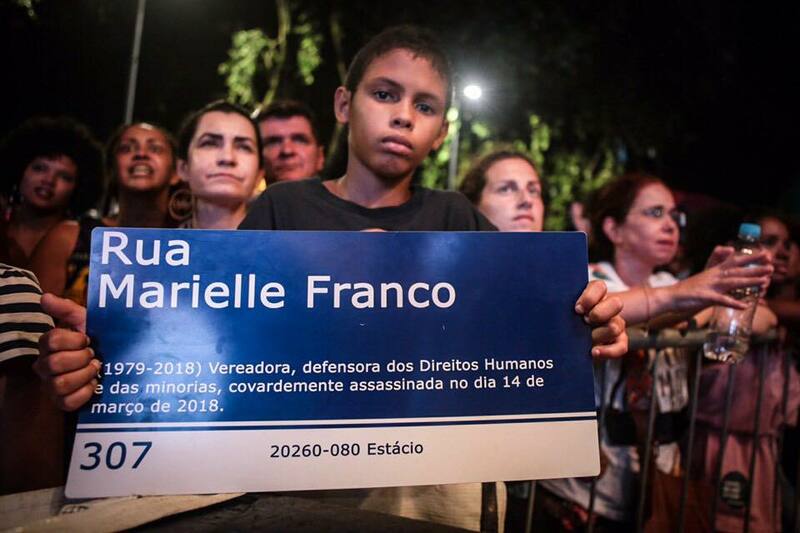 A demonstration also took place in the streets of Brasília with the distribution of Marielle Franco street signs, which have become a global symbol of the spread of her legacy after the street named in her honor outside Rio’s city council last year had the original street sign vandalized—broken in a public act—by PSL politicians. In Porto Alegre, in the state of Rio Grande do Sul, thousands gathered for a demonstration at the so-called Democratic Corner, one of the main meeting points for political demonstrations in the city. 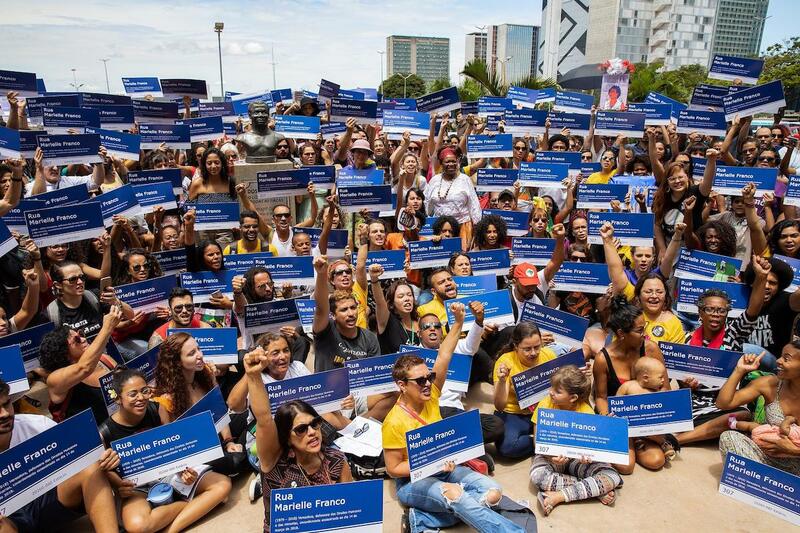 In Fortaleza, in the state of Ceará, a demonstration took place at Praça da Gentilândia. 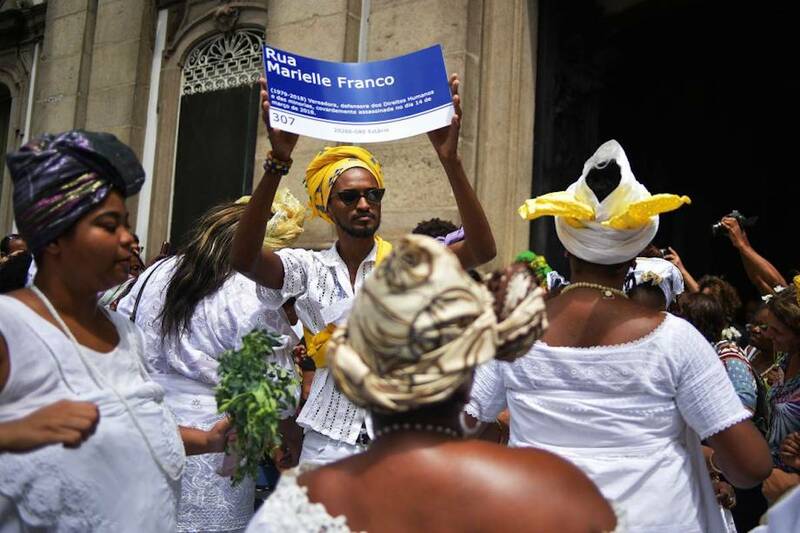 In Belém, in the state of Pará, thousands of people gathered at a demonstration in front of the São Brás Market. 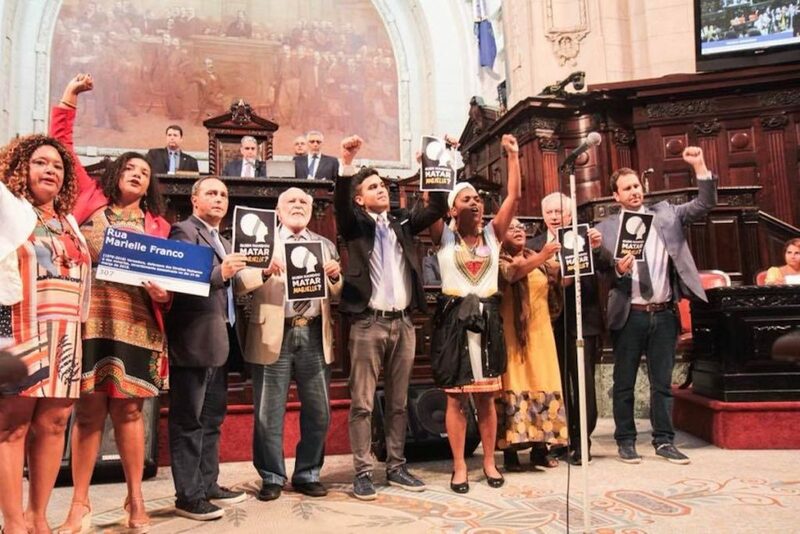 In Belo Horizonte, Minas Gerais, a demonstration took place on the Santa Tereza Bridge. 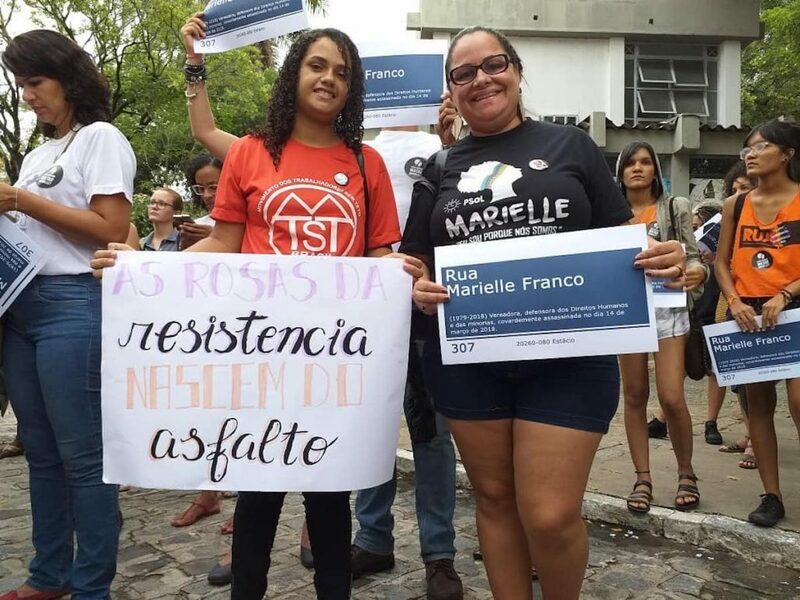 In Aracaju, Sergipe, a demonstration took place in front of City Council. 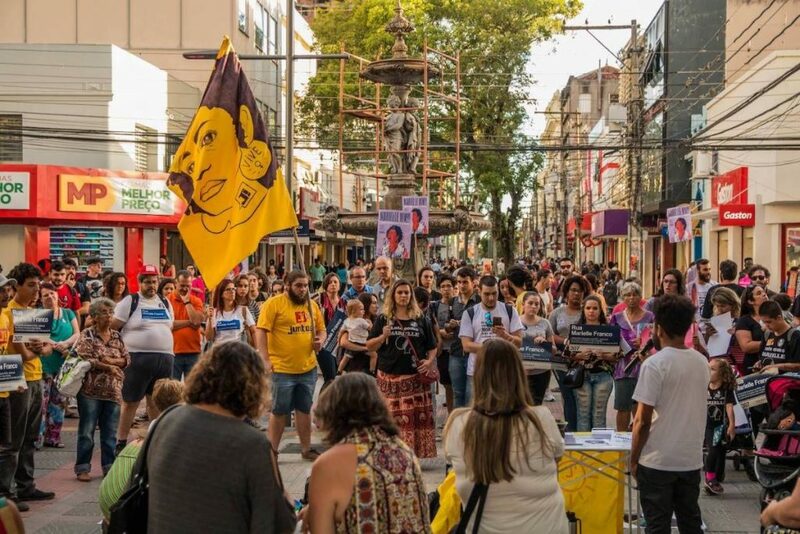 In Pelotas, Rio Grande do Sul, a demonstration took place at Chafadriz Calçadão. 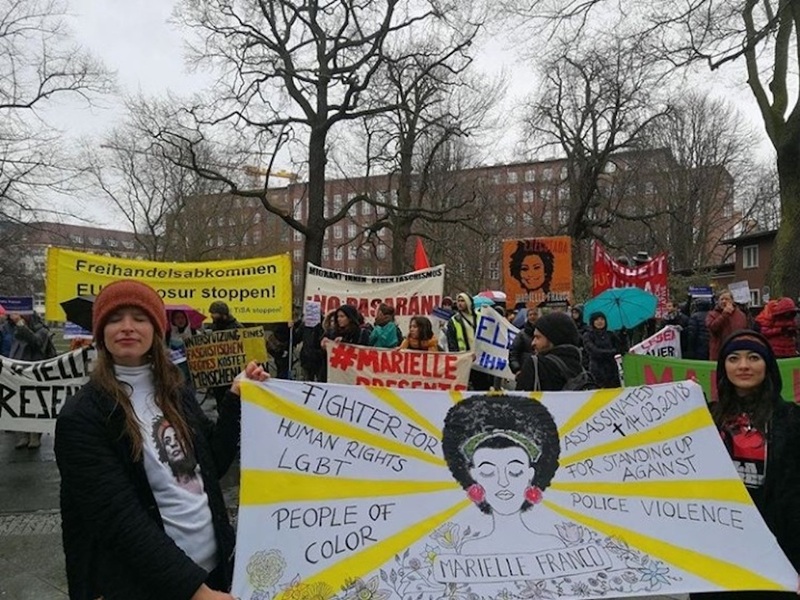 In addition to seeking justice for Marielle, demonstrators in Berlin demanded the guarantee of land rights for small farmers and indigenous peoples in light of the threats that these groups have suffered in the current political scenario. 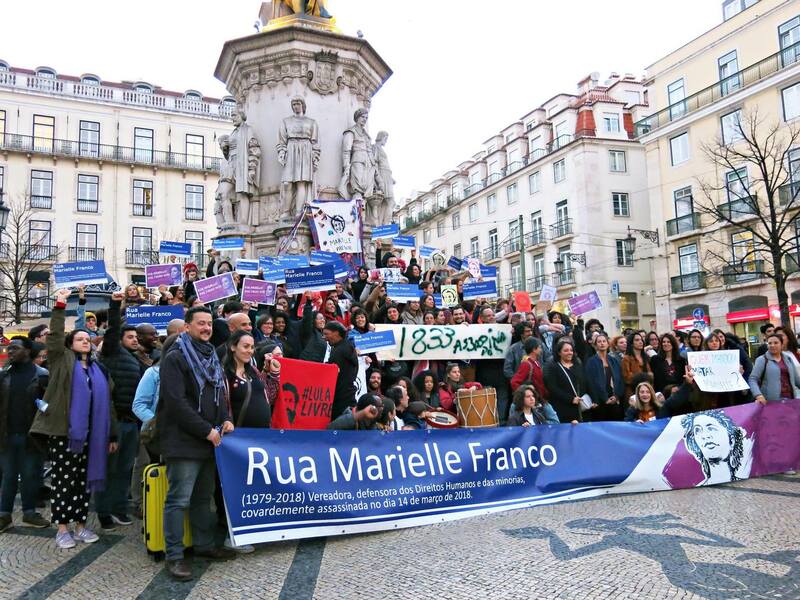 In Lisbon, Portugal, approximately 300 people gathered in Praça Luís de Camões to commemorate Marielle. 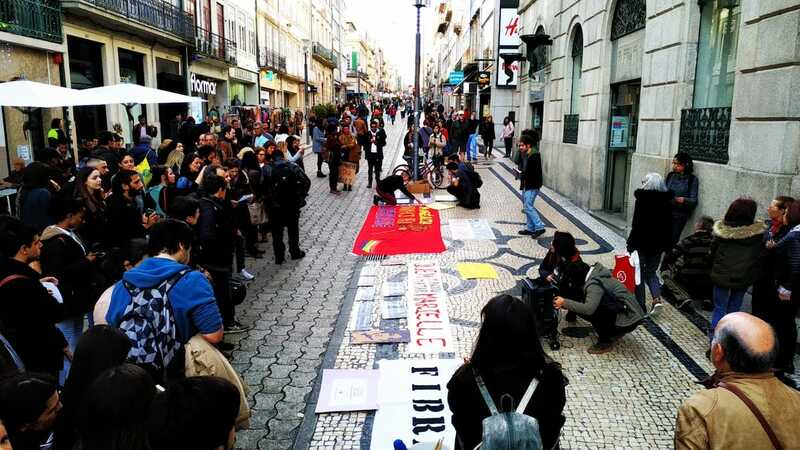 Also in Portugal, in the city of Porto, a demonstration was organized by the Antifascist Brazilian Immigrant Front of Porto (FIBRA). 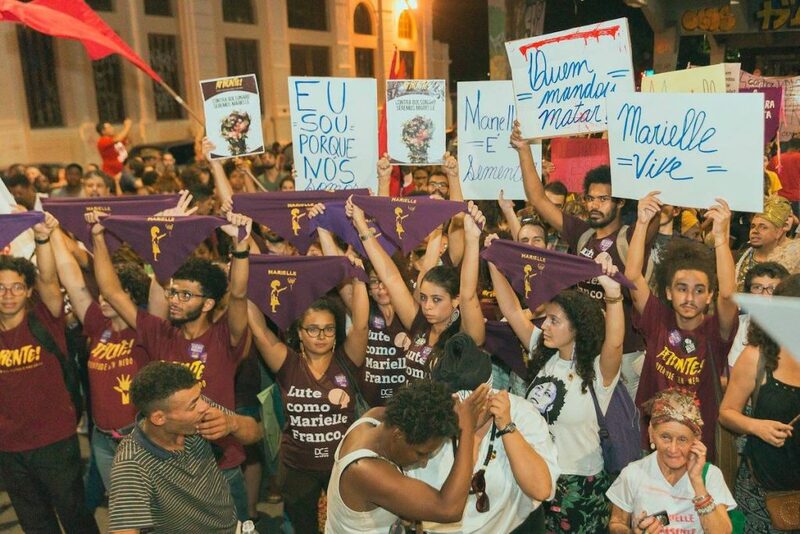 In Coimbra, a demonstration organized by Voices in the World – Front for Brazilian Democracy took place in Praça 8 de Maio. 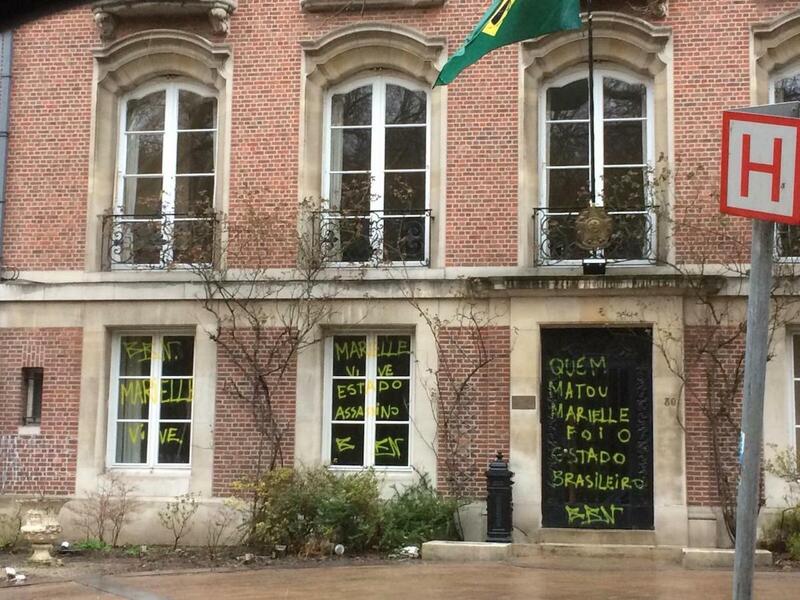 In Brussels, the façade of the Mission of Brazil to the European Union was graffitied with words demanding clarity surrounding the Brazilian government’s involvement in Marielle’s death. 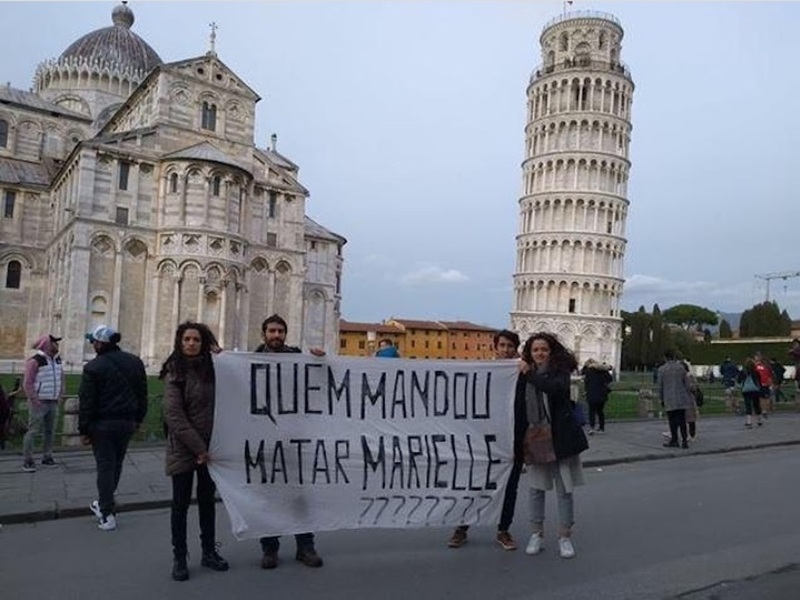 In Buenos Aires, there was a demonstration in honor of Marielle at the Obelisk, the city’s most famous tourist attraction. 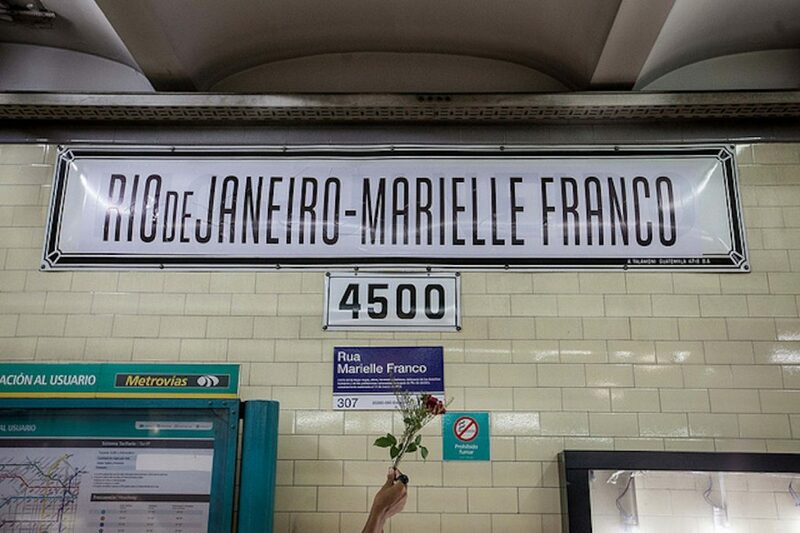 Coletivo Passarinho and Brazilians who live in the city distributed Marielle Franco street signs throughout the city and changed the name of the Rio de Janeiro metro station to “Rio de Janeiro-Marielle Franco” station. 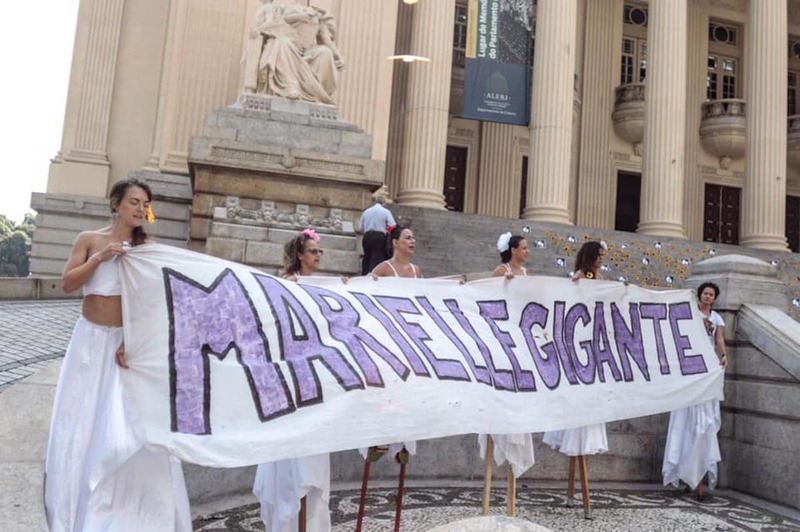 In Montevideo, Uruguay, there was a demonstration in front of the Faculty of the Humanities. 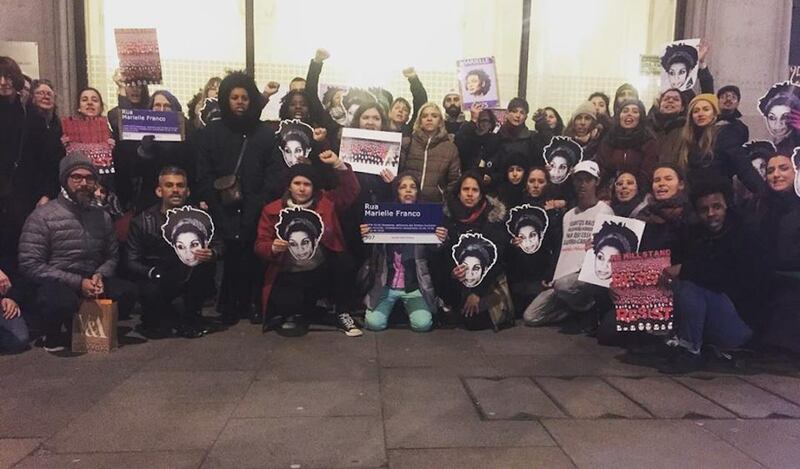 A demonstration took place in front of the Brazilian Embassy in London, United Kingdom. 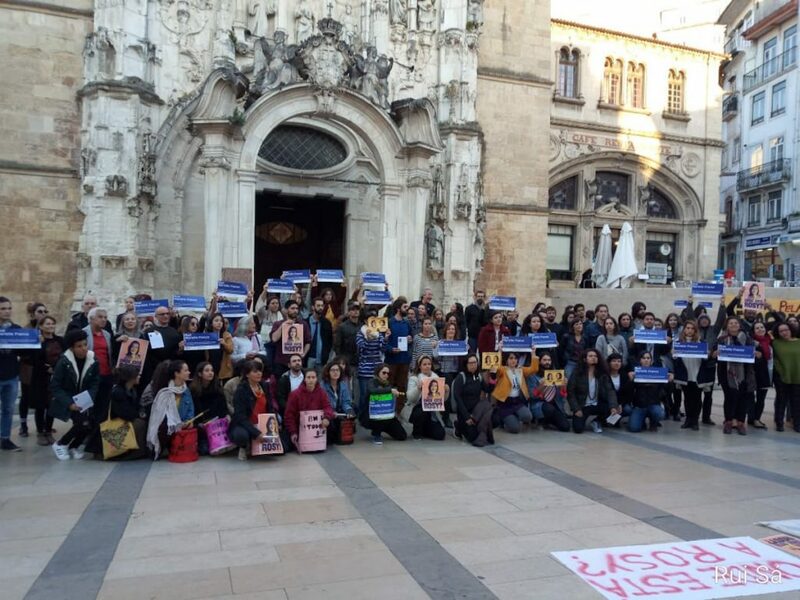 There was also a demonstration in Madrid, Spain. 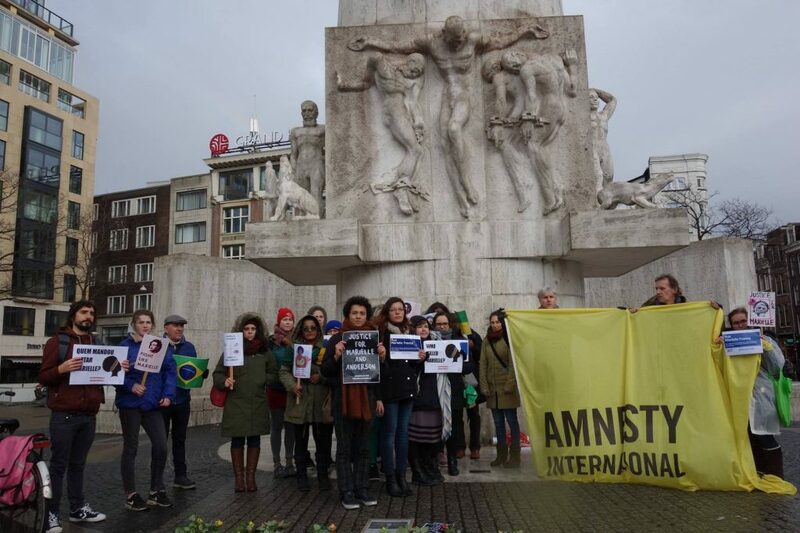 One took place in Amsterdam, Holland as well, with the support of Amnesty International. 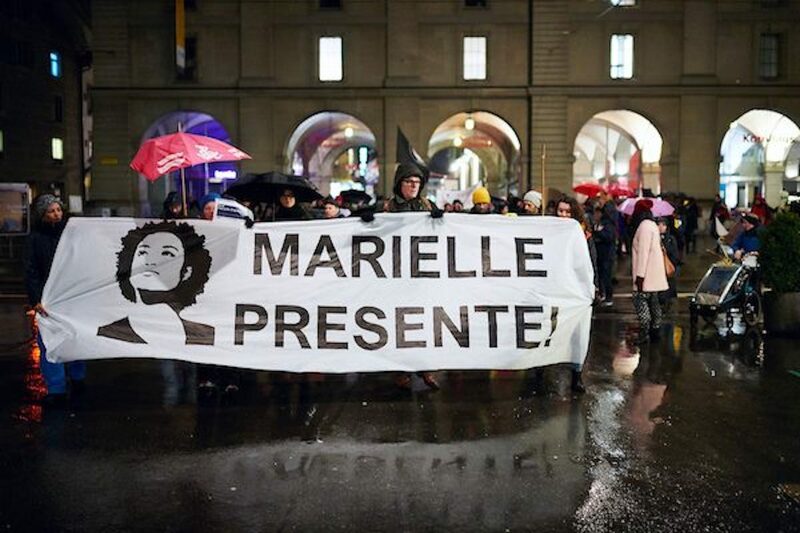 In Switzerland, there was a demonstration in Bern, the capital city. Brazilian tourists extended a banner in Pisa, Italy. 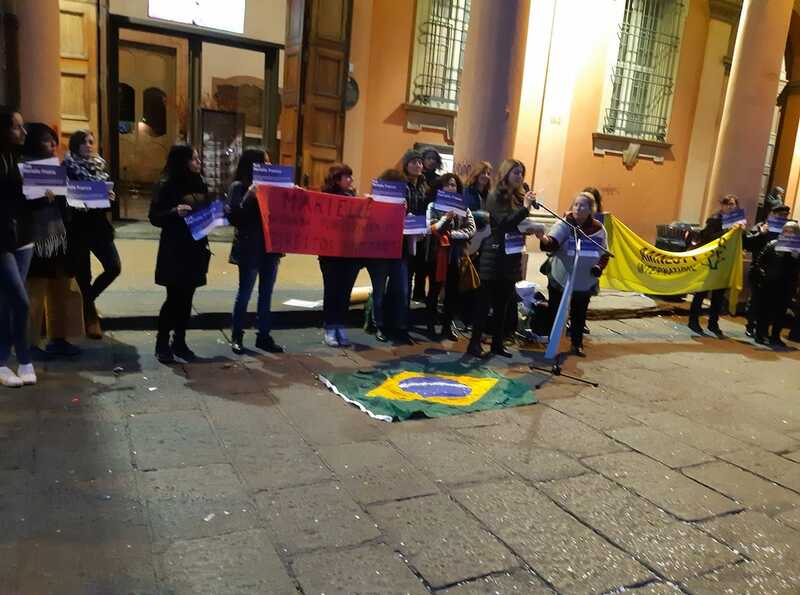 Also in Italy, a demonstration took place in Bologna. 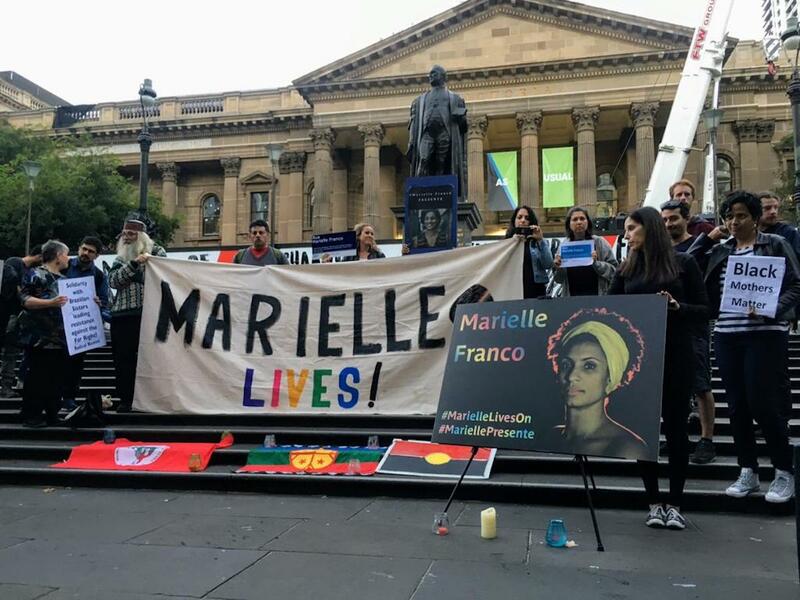 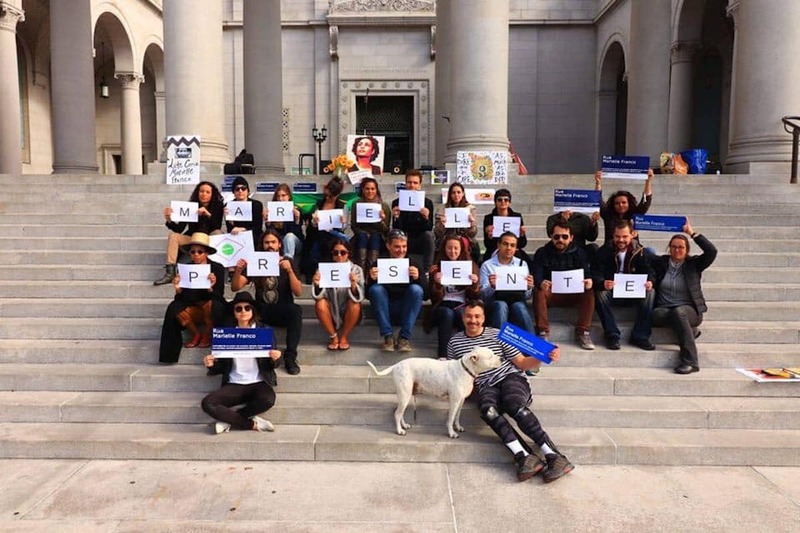 In the United States, there was a discussion and commemoration of Marielle Franco at New York University (NYU); a discussion on black feminisms in honor of Marielle at Princeton University; a discussion on structural racism and Marielle’s Legacy at the UCLA, where a demonstration also took place in front of City Hall on Sunday; as well as a vigil at Brown University. 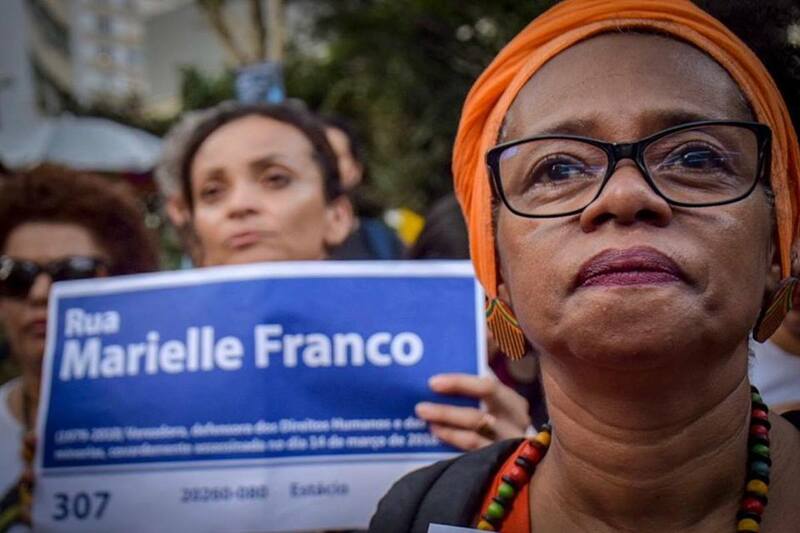 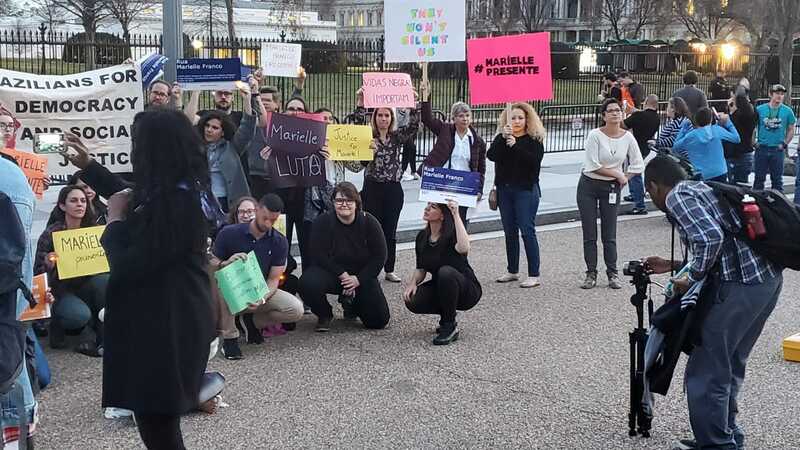 There was also a demonstration in front of the White House in Washington, D.C.
On Tuesday, March 12, a lecture titled “The Other Side of Violence: Marielle Franco and the Struggle for Brazilian Democracy” took place at Harvard University in Boston. 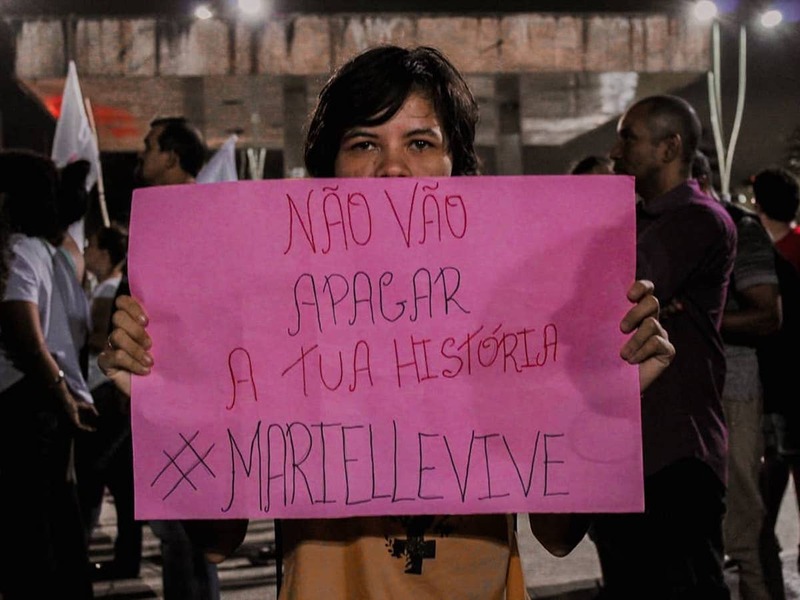 On March 14, Harvard hosted another lecture titled “Racism, Femicide, Homophobia: the Brazilian Tragedy in Historical Perspective,” in which Marielle was commemorated. 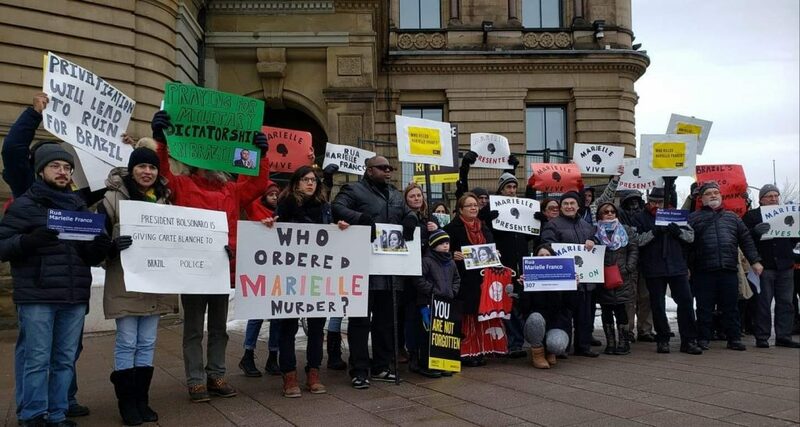 A vigil was also held in Ottawa, Canada with the support of Amnesty International. 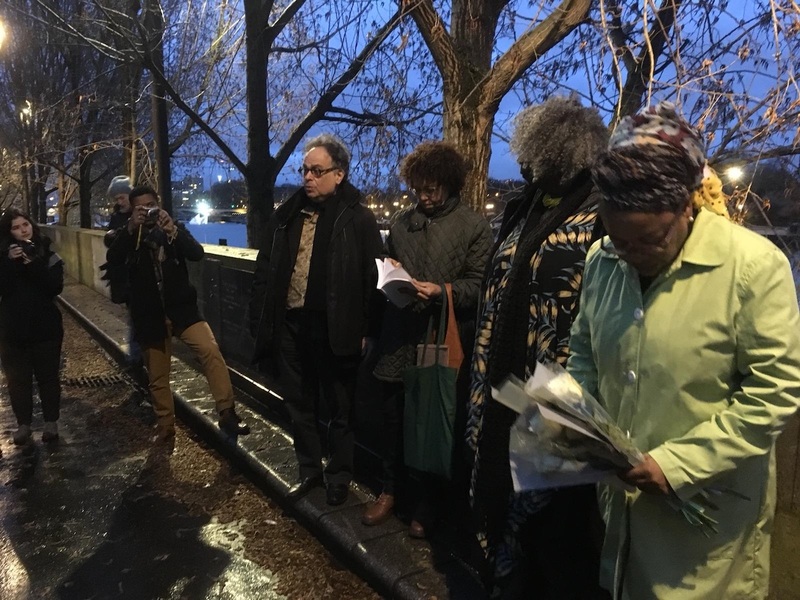 In Paris, France, a vigil was held in the rain in honor of human rights defenders with the presence of writer and black intellectual Conceição Evaristo. 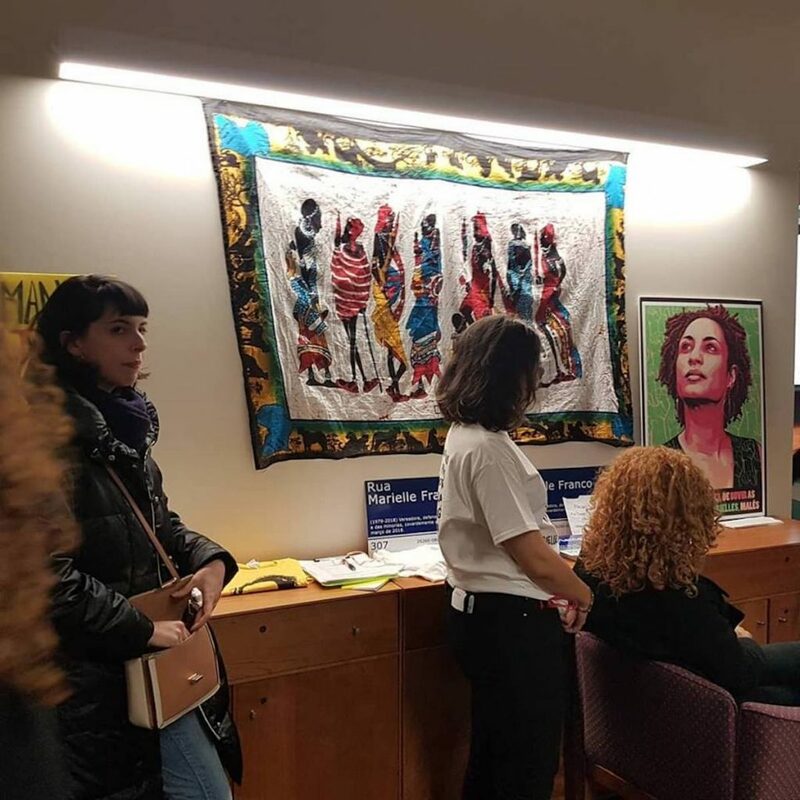 This article was written by Luisa Fenizola, and published on March 17, 2019.